Once you’ve selected your preferred method of ingesting CBD, whether you opt for oils, powders, tinctures, vaping, pre-rolled cigarettes, or even hard candies, there are still three main classifications of CBD to choose from. Here at WillPower, we proudly use broad-spectrum CBD in our products. The other two frequently desired profiles of CBD are called full-spectrum CBD and CBD isolate. Based on your personal needs, it’s important to understand the difference between these three major categories. Follow along and we’ll explain why we fancy broad-spectrum CBD in all our game-changing products. Full-spectrum CBD (or “whole plant”) products differentiate from broad-spectrum and CBD isolates because no cannabinoids are removed, not even Tetrahydrocannabinol (THC), the part of the plant that’s known to get you high. While large quantities of THC are found in marijuana, it is important to note that only faint traces (0.3% or less) of THC are found in the industrial hemp plant. So, while it could possibly be enough to fail a drug test, it’s certainly not enough to get you high. In Full-Spectrum CBD you can expect the products to contain the trace amounts of THC, as well terpenes, CBD, and other cannabinoids like CBG, and CBN. With all the cannabinoids and terpenes working together in synergy, your body will reap the benefits of the Entourage Effect, since every bit of goodness remains in the final product. You mention terpenes, what are they? Terpenes are just a funny name for the set of chemical compounds responsible for the flavor and smell of the plant. They have been shown to have numerous potential health benefits, such as helping to ease pain, anxiety, inflammation, and even depression. Let’s discuss the Entourage Effect. Ah, this term is most closely linked to full-spectrum CBD. Because there are over 100 different cannabinoids in the cannabis plant, all of which function and interact uniquely within our bodies, it is believed that when combined, the therapeutic impact of the whole plant is greater than the sum of its single-molecule parts. Cannabinoids are pharmacologically active, which means that they interact with the cells and the systems in our body in a positive way. CBD interacts with the human endocannibinoid system, potentially relieving symptoms of numerous (often painful or chronic) conditions. But, they don’t just interact with our cells. It’s also believed that they interact with each other, creating an enhanced effect. We get the shtick – THC scares off the average consumer. Drug tests, psychoactive effects, you name it. So, we decided to relieve the worry and provide the health in WillPower products without the high. One way we can explain broad spectrum CBD is that it contains an array of cannabinoids and terpenes, but unlike full-spectrum CBD, it leaves out THC (what gets you high). This is made possible through a chromatography extraction process where the cannabinoids are separated from one another. From there, THC molecules are isolated and removed, leaving the other cannabinoids and terpenes intact. To spare you the technical jargon – WillPower manufactures our products using the cleanest extraction process possible, leaving us with top quality products, which contain pretty much everything that full spectrum CBD does, including most of the entourage benefits, minus the concern over ingesting THC. And be careful, some companies will try to trick you. The next time you’re perusing the isles for a CBD product that is THC-free, you might come across companies that advertise a “full-spectrum, THC-free” product, which means they’re really just selling broad-spectrum CBD, but they want you to think you’ll somehow get the Entourage Effect without the THC. That’s not possible, though, as no cannabinoids, not even THC, are removed in full-spectrum CBD products. Isolate is the purest form of CBD on the market. Just like its name, these products will contain nothing but CBD in them since the famous cannabinoid has literally been isolated from everything else. 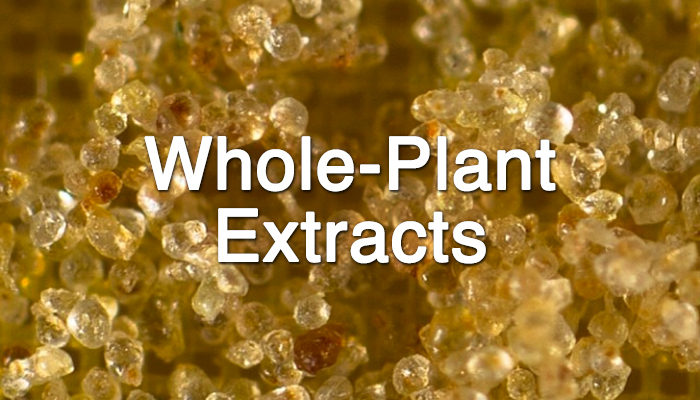 With this product, all other cannabinoids are removed, including THC. You’ll most commonly see CBD Isolates advertised as over 99% pure CBD, since the extraction process typically fails to effectively remove 100% of cannabinoids, and leaves 1% intact. Most pre-made isolate oils typically consist of carrier oil, such as MCT oil made from coconut oil or hemp seed oil, infused with the crystalline isolate powder. Carrier oils dilute the CBD and turn them into a form more easily consumed. Again, it’s important to pay attention to advertising and marketing gimmicks. Some companies will say their CBD is the purest, but they don’t mean isolate. They’re simply trying to convince you their products are top quality, and while doing so, they’re inadvertently leading their consumer to think they’re purchasing an isolate. So, what’s better – Full Spectrum CBD or CBD Isolate? When talking health benefits, full spectrum CBD trumps CBD isolate because you’re not only receiving CBD in your tinctures or oils, you’re also getting other cannabinoids. Which CBD profile is most effective? WillPower is dedicated to helping you better understand your options when it comes to selecting a high-quality CBD product that meets your athletic needs. Which is why we’re confident our broad-spectrum CBD products will offer you the health benefits you desire.